After years of saving, and now weeks of meeting with contractors and trades, we are getting VERY close to starting a big remodel at my house. I’ve got a big post coming up that shares the details of the plans now that they are almost final! In the meantime, we are spending our recent nights and weekends shuffling rooms around, preparing for months and months of half the living space (and no kitchen or laundry room!). 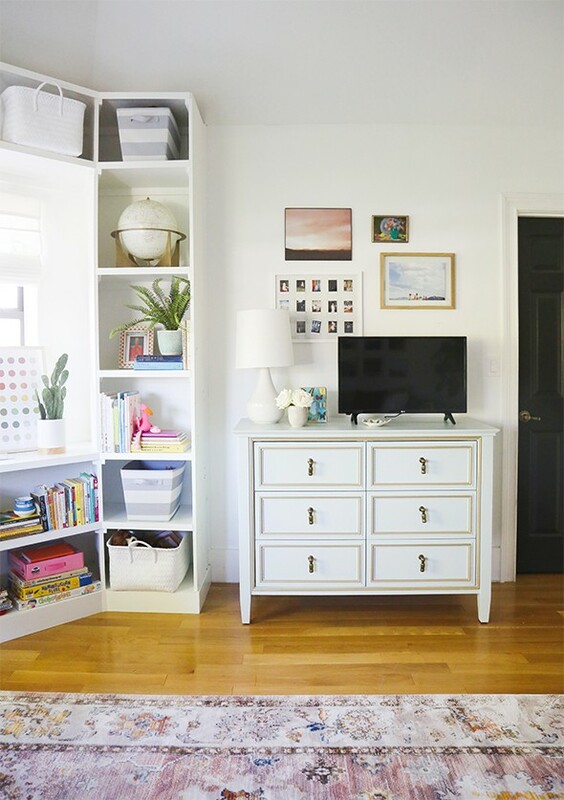 Last week we moved Evie in with Grace and turned her bedroom into a playroom and I think with just a couple quick changes and additions, we’ve got ourselves an adorable, comfortable kids space! I’m the hugest fan of playrooms if you can manage to squeeze a space into your square footage. 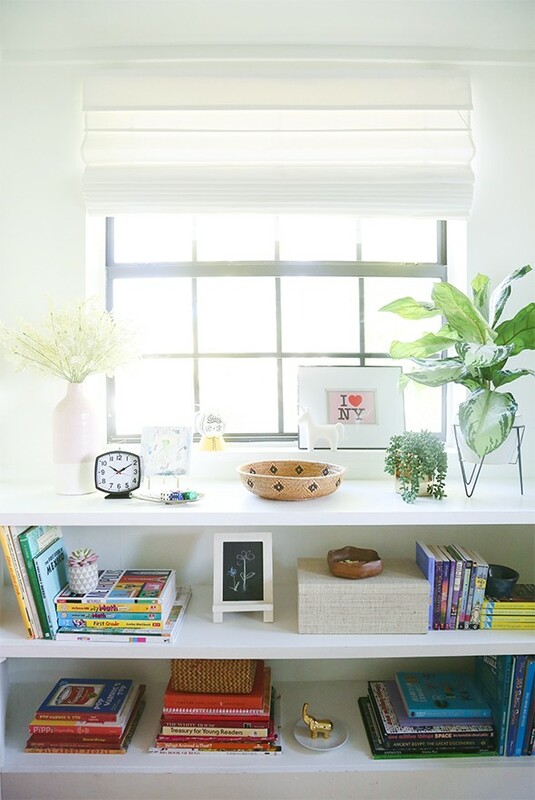 I love having a dedicated place for toys and games to live – it really helps the rest of the house stay more tidy – and the girls love having a space of their own for arts and crafts, legos, watching movies and hanging out with their neighborhood friends. 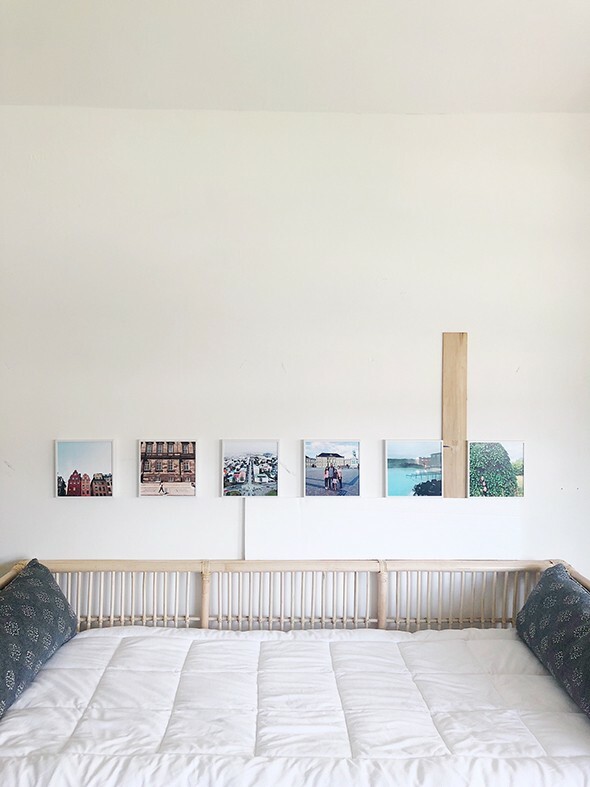 I knew I wanted to do a gallery wall above the daybed in here, and when I heard about the Mixtiles app, I got SO excited about the idea of using all trip photos from our recent family vacation to Scandinavia! 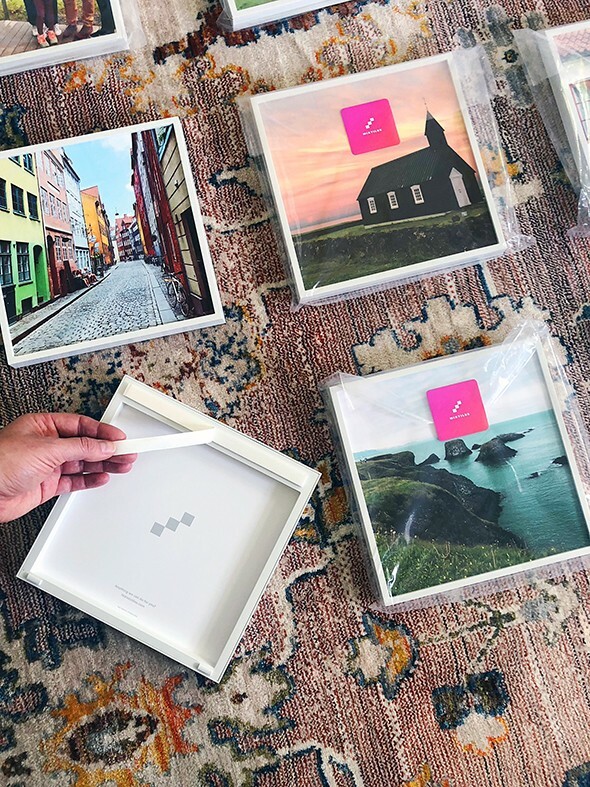 Mixtiles syncs directly with your phone’s camera roll to quickly and easily order high-quality prints that come in less than a week. And they always have free shipping! 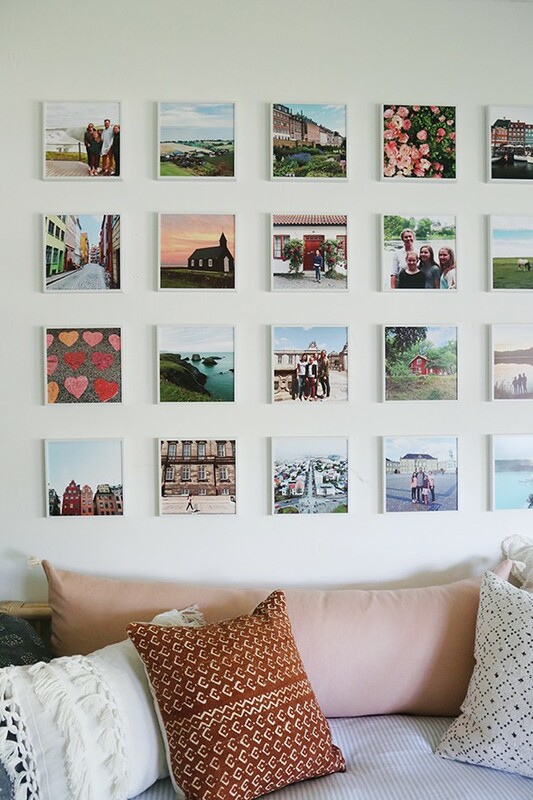 The Mixtiles are really easy to hang – no hammer and nails required here! 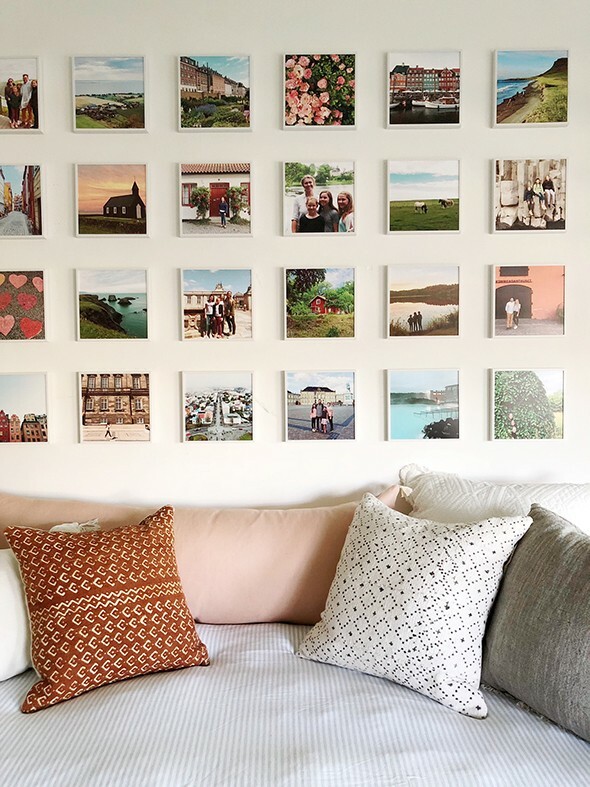 They have a sticky adhesive strip on the back of the frames that allows you to place and move the tiles anywhere without damaging your walls. 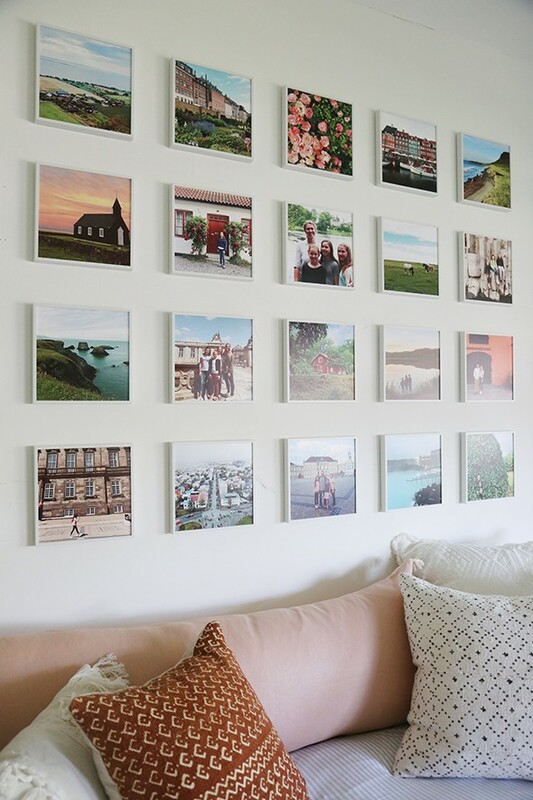 Perfect for renters or people like me who don’t want to put a million holes in their walls for a big gallery wall arrangement like this one! Since I ordered a lot of Mixtiles for the wall, I had the idea to use some scraps of packaging materials from the new furniture as a guide for hanging all my new wall decor. It wasn’t necessary since the adhesive is reusable and you can pull off and readjust quickly, but it made a simple process even simpler for me! I used a piece of styrofoam as my spacer for the bottom row and a 3″ piece of wood for the rest of my grid. 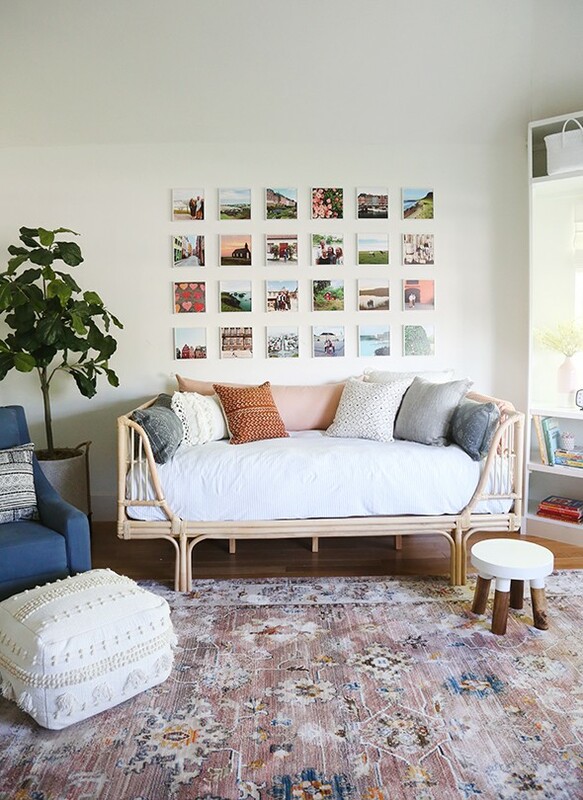 This rattan daybed was my first purchase for this new space. 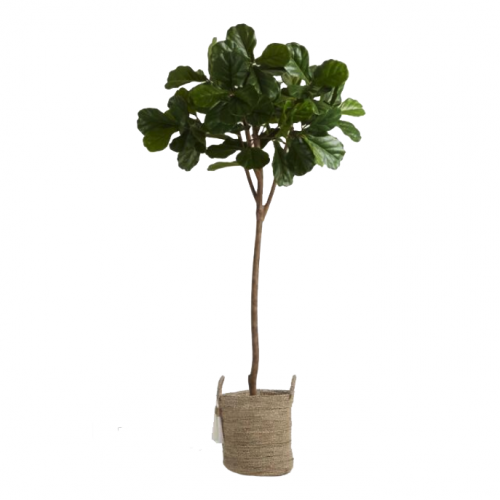 It is SUCH a great deal already and I got it with an extra 30% off coupon! 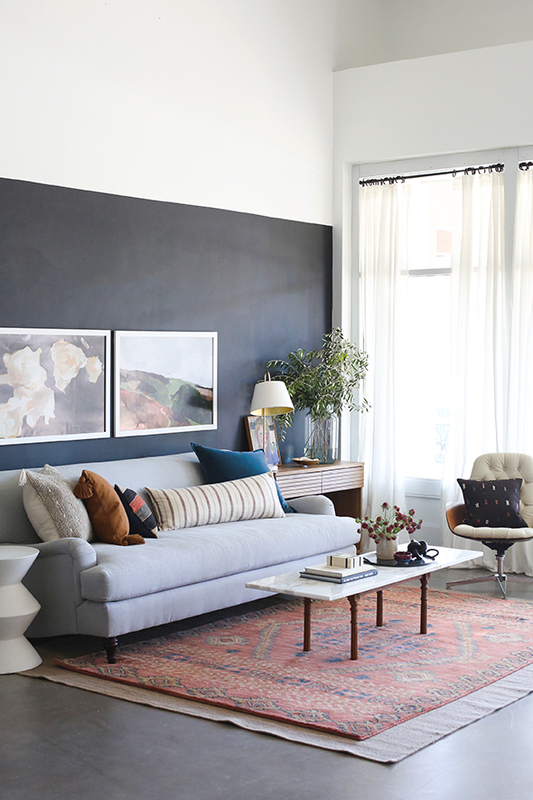 The blue chair was a lucky PB Outlet find and the warm denim-y blue upholstery was the start of my color inspiration for this space. 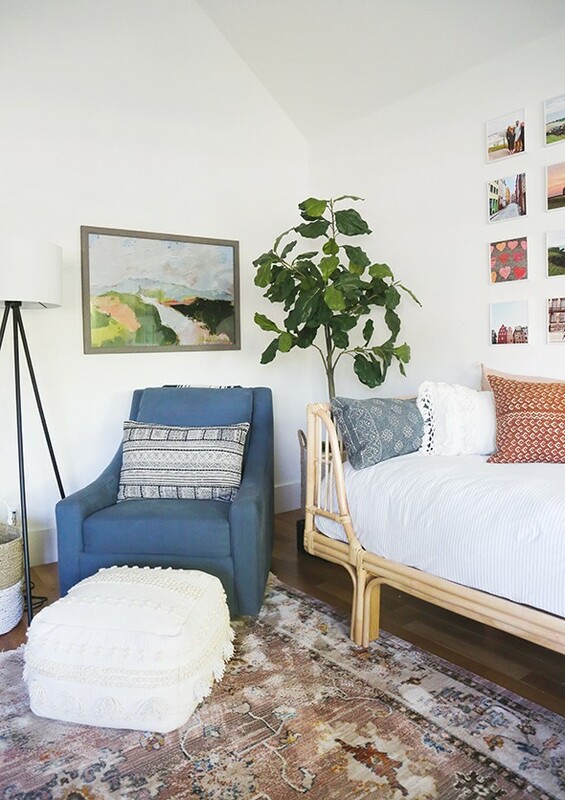 I found the perfect inexpensive rug that was colorful but not crazy, and I think really compliments the art and accessories in here! 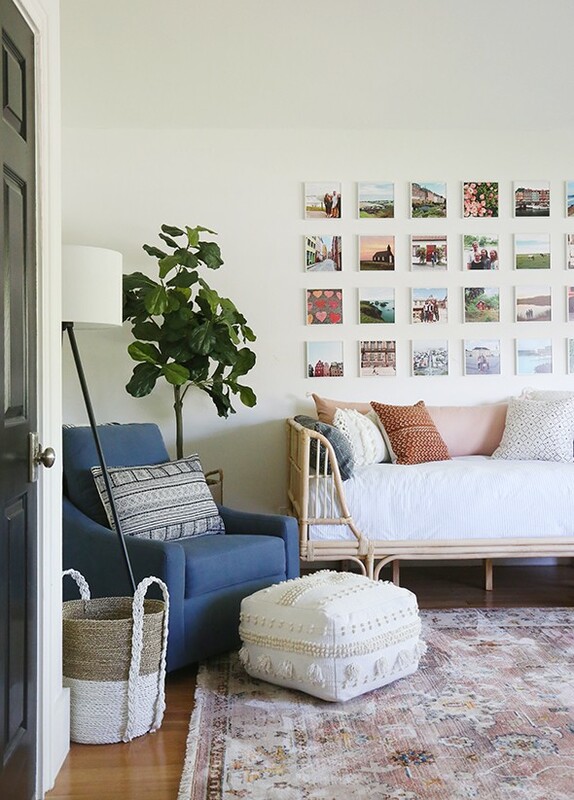 I can’t tell you how much I love this new space and especially that wall of memories! Our trip to Denmark, Sweden and Iceland this summer was nothing short of life-changing, especially getting to see where my grandma grew up in Sweden (check out my story highlights for more!). Having these special photos up on the wall, reminding us of those magical two weeks, has been SO COOL. 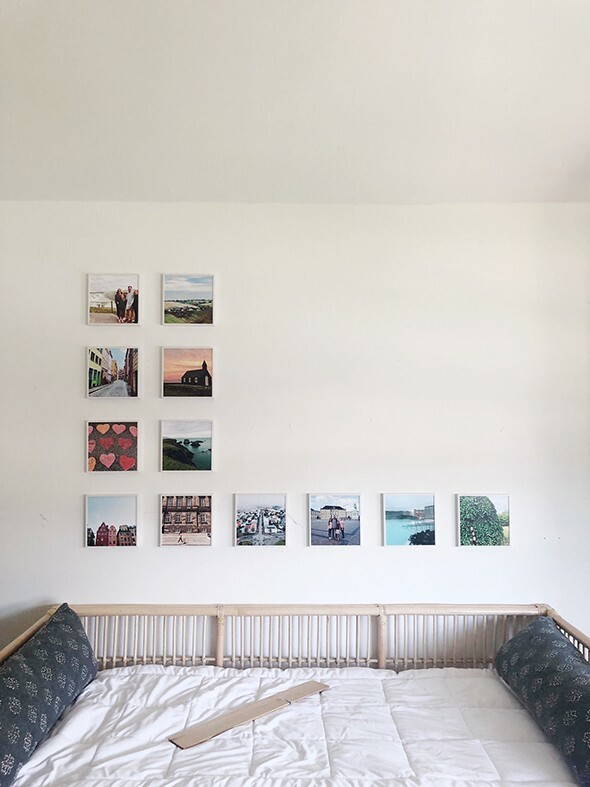 And I love that when our reno is finished in a few months and Evie moves back into her room, I can move the Mixtiles back down to our regular playroom quickly and simply, with no damage to our walls! Love it so much! Great mix of colors and textures. My only wish is for that blue chair to be larger in scale. aybe that is what bothered you about it? I love the blue chair! It’s large and very comfortable! 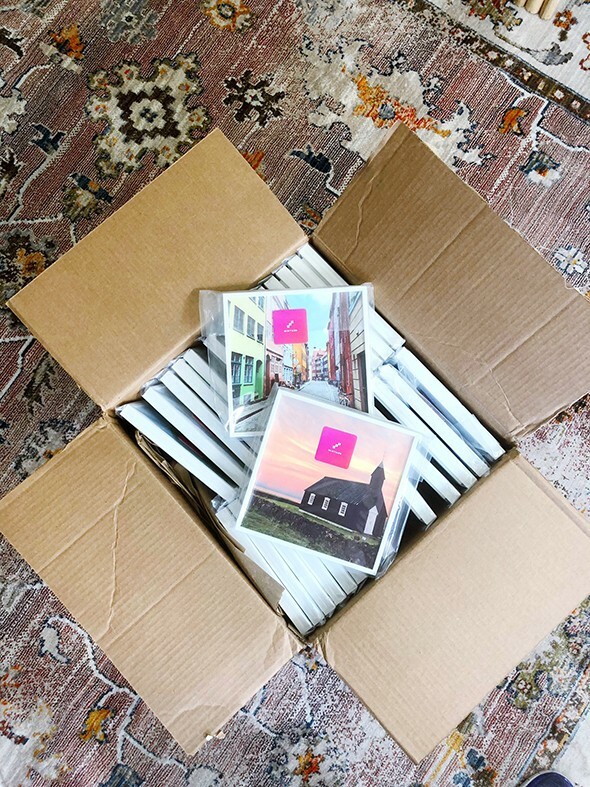 Will you be adding any of your trip photo’s to your print shop? 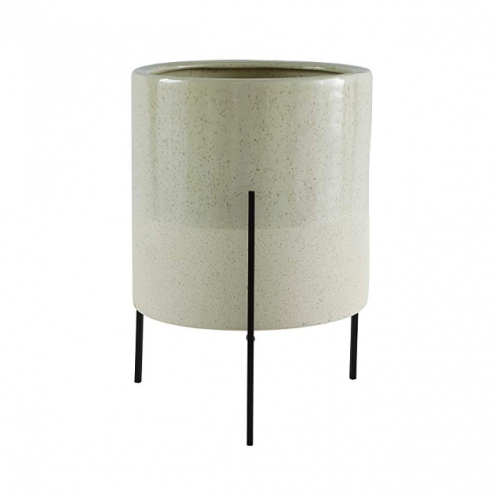 I spotted a few that I would absolutely love to add to my spaces! They look fab! I had a peek at mixtiles, but can’t see an option for the white framing yours seem to have, any ideas? Thanks! Ugg, I really like these but have no room on my phone or desire to download another app. I wish these kind of companies would also have an online equivalent – that’s not hard. Yep, agreed! I hate having to download apps to my phone that I will only use rarely! Love this room! Where did you get your roman shades? These are exactly what I was looking for for my bedroom! Same! 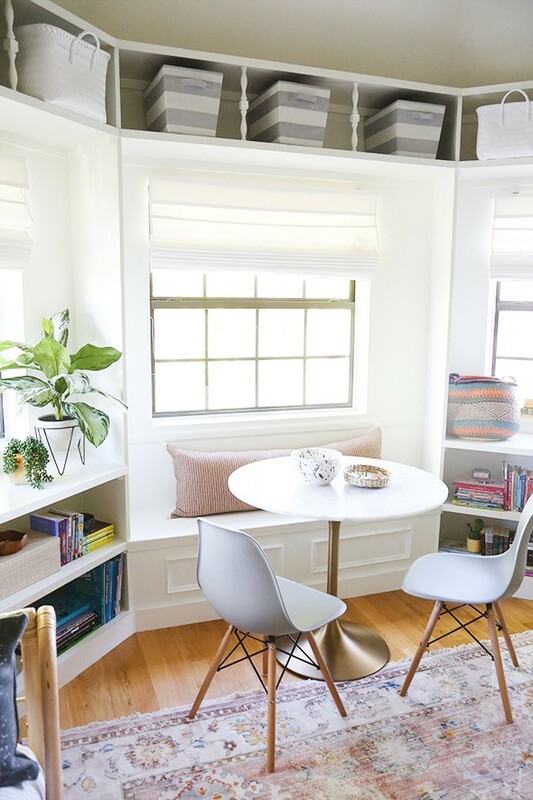 Source for the roman shades – good affordable ones are hard to find! 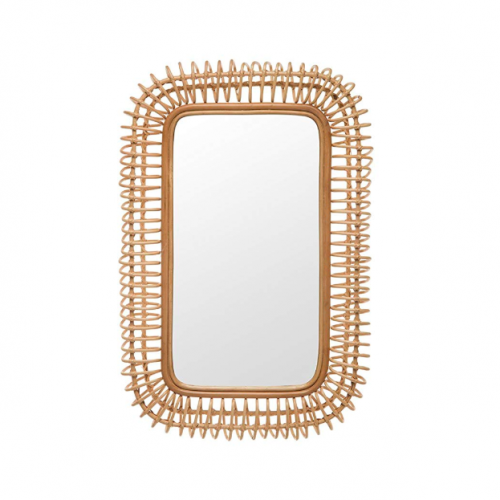 Try Overstock, JC Penney and Pottery Barn! These mixtiles are perfect for the playroom! It’s a gorgeous room to start and these are a super fun touch! The room looks great! I’m curious about the daybed. I see online that it says it takes a standard twin mattress but it looks smaller than that in your pictures? Is it a twin? Does the bed seem sturdy? I’d love it from my daughter’s room! Thank you so much for the kind words! This print hasn’t been released yet, but we plan to very soon. We will be sure to post about the release over on my print shop account, @jennysprintshop, so be sure to follow along there for updates! You may have introduced me to my new rug. 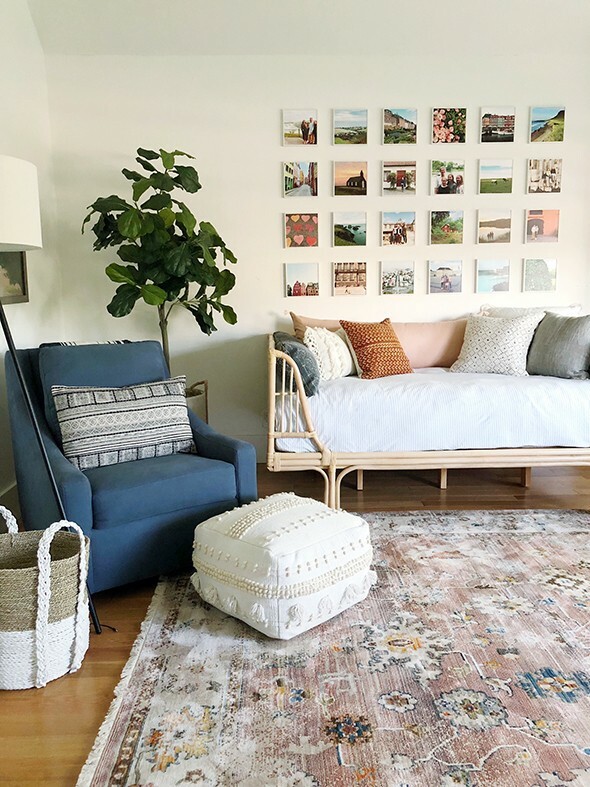 :) I am wondering, if the true colour of the rug is more like the darker pictures on the Wayfair website, or are they lighter, like the ones you posted? I am looking for light, fresh and, well, light. The darker images are scaring me away from the rug… YET the lighter ones make me my hear beat a little faster. 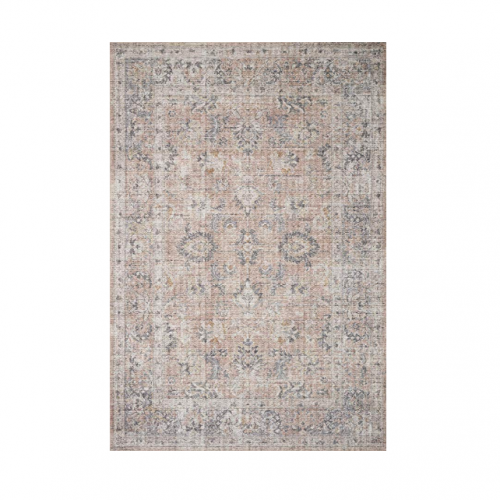 I live in Canada and have found the rug on Wayfair.ca, but returns in my country, particularly for something large like this, are really cost prohibitive. Sometimes chances work out! And sometimes they are just expensive. . Thank you for any information you can provide! 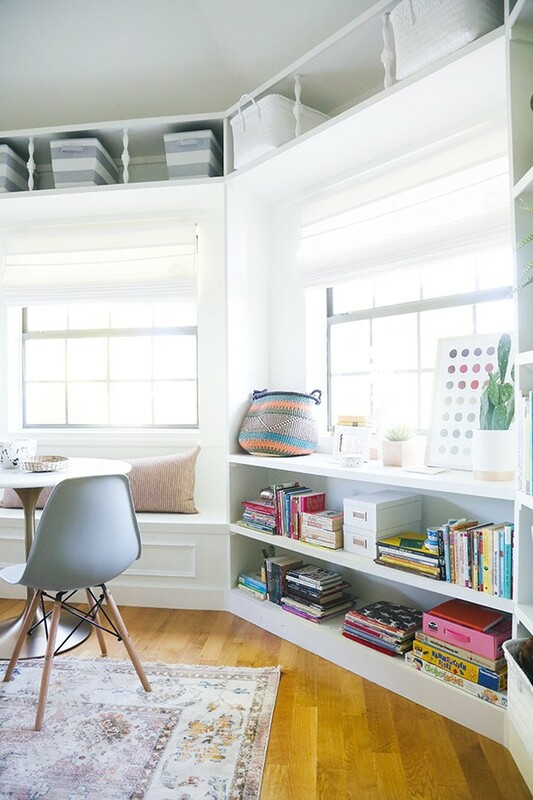 First off, you can NEVER have too much natural light in a room; the three windows are lovely! Second, it’s a children’s playroom…inherently they have lots of things. 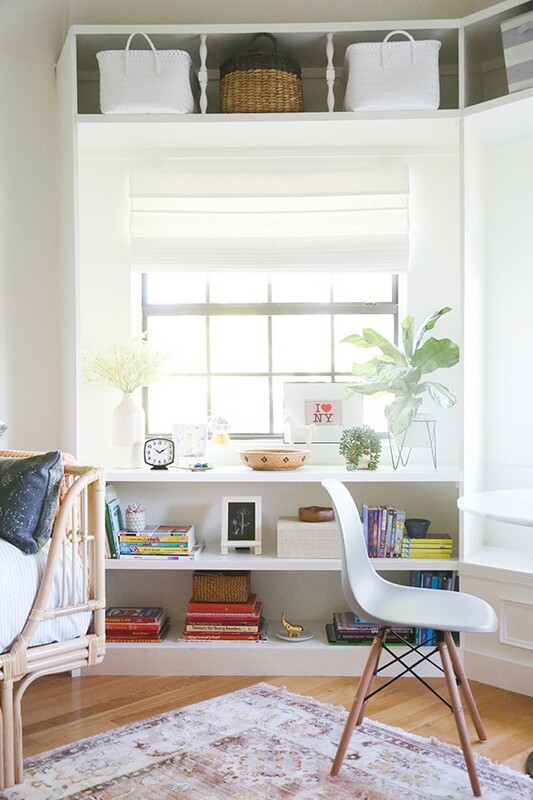 If this is messy, it is the most well organized, stylish “mess” I’ve ever seen! 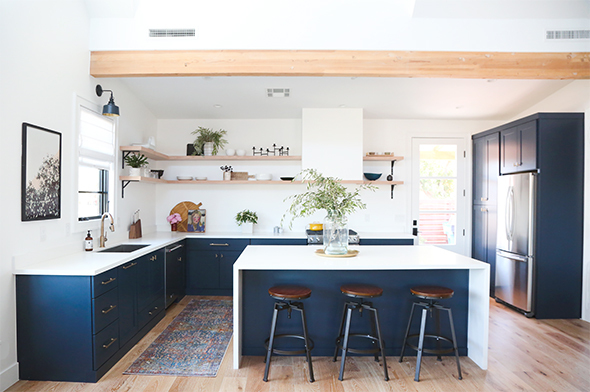 Awesome kitchen cabinets and nice tap styles. :( I think it was- but then they sold out and when it came back- its different. The rug sort of changes colors depending on the time of day. For the most part it is a medium warm pink! If you look in my instagram stories on the PLAYROOM highlight you can see lots of phone photos that are less blown out than these real camera photos. Hope that helps!